Think You Should Forget Email? Stop Right There – Growing your List Has Never Been More Important. Particularly for small and medium sized businesses, there is a never-ending to do list of daily tasks to keep the business running efficiently. On top of that, a small business can never really take its eye off marketing and always nurturing its customers to keep the business growing. But in this world of social media chatter and sales funnels, is email dead? Does it really matter that we capture every address? And once we have them – does our audience really want to hear from us everyday? If not, then how often? Managing emails for a massive database sounds like a daunting task with little pay-off. Is it really worth it? Email is crucial in the pursuit of growing your business for a number of reasons. First, let’s take a look at why you need an email list. Consistently, email outperforms every other channel. For one thing, with email, you are going directly into someone’s inbox, rather than hoping your ‘target customer’ sees your social or digital ads. Furthermore, as social rules continue to change, owning your database (and building it out with robust data points in a CRM like Salesforce) is crucial – otherwise, you’re just renting those contacts and they could be ripped away from you at any time. 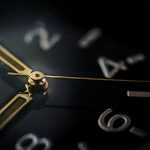 And for those customers that have engaged with your site or social channels in the past, but don’t have that reason to return just yet – email is your way to stay connected with them while they are away from your business. Finally, if we haven’t sold you yet, building an email list is one of the most powerful ways to learn more about your customers through how they engage with email. You can monitor open rates, preferences for frequency of communication, the type of content they prefer and continue to segment your list as you hone in on their behavior. So, how do you grow that email list into the powerful database that you want? As should always be the driving principle behind communication, lead with value. Create a call to action (CTA) over Facebook for followers to ‘sign up’ for your newsletter. Make sure you clearly communicate what type of content and what sorts of ‘value’ audiences will receive via your emails. Sell the value, rather an keeping it vague. Encourage subscribers to share: Consider adding a footer at the close of each email, suggesting those that loved the content share with a friend and include a link to where they can opt-in for your emails. Nothing resonates more than the recommendation of a trusted friend. Create multiple subscription types: Every customer is at a different point in his or her lifecycle, and may be looking for different benefits from engaging with your brand. Use multiple ways to engage and deliver value as a way to service and learn more about these customer groups. For example, some customers are only looking for promotional offers, while others are seeking tips or news updates. Provide your audience a way to communicate their preferences to deliver the best results. Launch an online contest to gather an influx of emails: If you’re wondering how to grow your business leads quickly, offering a relevant ‘give-away’ or special promo is a great way to capture contacts (and email addresses) that are interested in your services. Once in the funnel, you can engage with them on a deeper level to promote your brand. Sure, growing your list sounds great, but once you’ve got all those contacts… how do you manage the different segments and lists. It’s not as overwhelming as it sounds. Here, is where having a CRM like Salesforce is crucial. Leveraging your database effectively, is all about understanding how key customer criteria aligns to your different service offerings. Get clear on ‘who’ is the target customer for each of your product offerings. Create engaging content designed around these customer groups and key checkpoints along the customer journey. Build out these areas of engagement via automated workflows directly in Salesforce, using templated emails and data points captured in your CRM to make this whole process automatic. Continue to gather insights and iterate on the data to segment your customer groups more effectively based on their behaviour and test content designed to re-engage inactive users. And – trust us – if you want to save time in the long-run, build a strategy that aligns to your CRM, so you can keep your data clean from the start. This means understanding which fields you need to capture from customers from the outset and ensuring you have those fields present in every landing page. 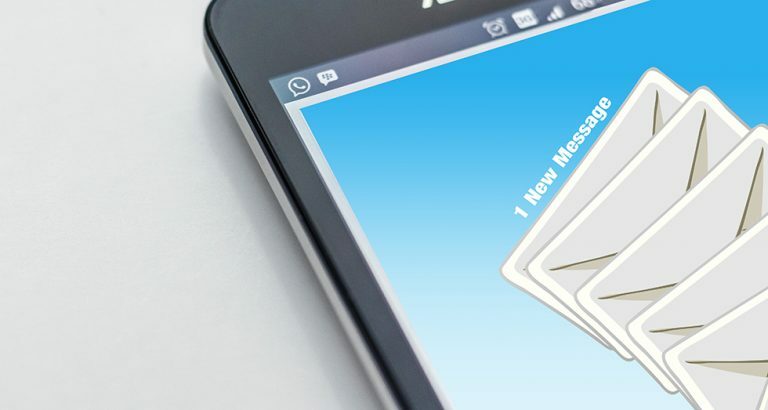 When done right, email is a powerful way to build a connection with your audience and become part of their lives on a daily or weekly basis. It can even be used as a form of two-way communication to help you segment your customers more effectively and market to them better, by integrating your process with a CRM like Salesforce. To learn more about how the Salesforce CRM will amp up your email marketing strategy, helping you better target leads, segment customers and increase sales, set up a discovery call with Sol Business Solutions today.